Businesses looking to break into overseas markets can usually expect to face local difficulties in areas such as country-specific regulations, brand recognition and the establishment of profitable trading agreements with new international partners. Having someone on-side who knows the ropes and can help negotiate international obstacles can make all the difference. Circuit protection manufacturer, Delta Group was a case in point. The company needed to access the broader international market with its new miniature circuit breaker(MCB) range because its ability to grow in the UK and existing expatriate markets was finite. But key issues emerging from market analysis revealed a range of potential problems, including restricted sales channels, limited brand recognition, and product range acceptance constrained by defacto country standards and cultural specification barriers. Communisage has 11 years’ experience of trading in Europe, the Middle East, United States and Asia Pacific. Founder, Mike Cowburn, has successfully formulated trading arrangements with overseas distributors and strategic partners to grow incremental business. Working with Delta, Mike explored, qualified and subsequently implemented action programmes to exploit existing commercial opportunities, successfully addressing issues involving pricing, product specification, investment proposals, project justification, product development, market entry and demand creation. Opportunities were evaluated and several different market and product development projects were pursued with positive results. 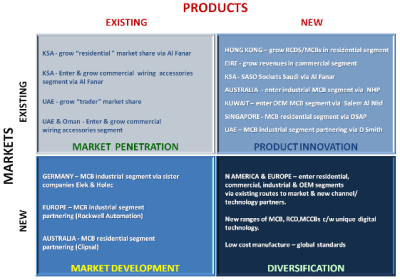 The company enjoyed significant market growth for its current product ranges, as well as adapting emerging products in order to access new market segments. 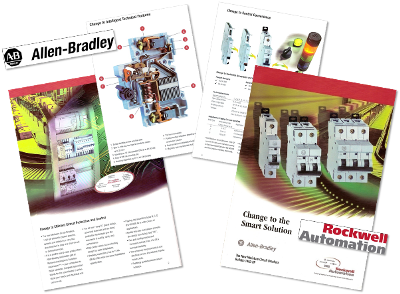 In Switzerland, after identifying a market segment where Delta’s current offer was compatible, a channel partner was secured – Rockwell Automation via their Allen Bradley brand – to grow sales of extant and future products via its European distribution channels. Developing international opportunities is never as straightforward as it may sound and progress doesn’t happen overnight. In this case, critical to the whole process was the development of an intimate relationship with our customer’s US and Swiss stakeholders, without which the alliance would not have been realised. previous year by 71% and the budget by 31%.